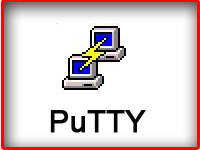 For a large portion of Linux and Mac users the reality is there will be some Windows program that they will still have to use on a daily or near-daily basis. For many the answer is Wine, letting them use their applications with a variable amount of success on their new *nix system. Unfortunately Wine doesn't come with any guarantee of support for a given application, nor is there any level of support from the developers beyond the community, or a generous developer. Enter CrossOver. CrossOver has been the main financial support behind the Wine project for several years now, they offer a customized version of the Wine codebase and even claim explicit support for a variety of applications-- some games, some productivity software, some utilities. For many users Wine meets all of their needs, free of charge, but for those who want that extra hand, or who don't trust that they'll be able to configure their wine install to meet their situation, then CrossOver is a nice compromise. 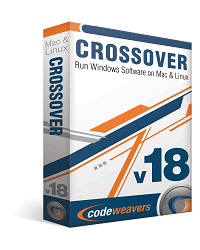 For $59.95 USD, CrossOver will give you an automated installer for many applications, as well as integration into the package manager for dependencies that the compatibility layer might need -- such as codecs, mp3 and mpeg libraries, or specific fonts. 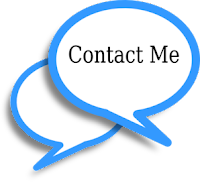 The buyer can also opt to buy phone support direct from CrossOver in order to get their applications working on their systems. That's not the only thing though, every purchase of CrossOver goes directly to the continuing development of the Wine project as CrossOver employs many of the contributors and developers, as well as contributing every fix they develop, "no matter how tiny", directly back to the Wine project itself. By supporting CrossOver, users support Wine. For me personally, the biggest and most helpful feature is the integration with the package manager. All of my main applications -- MS Office, World Of Warcraft, Warcraft 3, and others all work fine in the base version of Wine. But anytime I swap a new distro to try out I always have to go back through and install all of the system dependencies, such as (32bit versions of) gstreamer codecs, libmpg, mp3 support, and others. But with CrossOver I get prompted to install those packages the moment I try to install a Windows application that has those dependencies declared. For advanced users, purchasing CrossOver may not have a direct benefit. But for those who are less technologically minded, or that want to help out the Wine project, then purchasing CrossOver is an easy way to support themselves, as well as support the wider community who benefits from the Wine project. CrossOver has managed to work fairly well over the years, even going back to CrossOver Office 5 from 10+ years ago as well as CrossOver Games, which has since been integrated into CrossOver itself.